Wooten and Eunice Shine Brightest in GIS SC5 Runs on August 27! (August 27, 2016) – The stars may not have littered the sky on a cloud-covered evening. 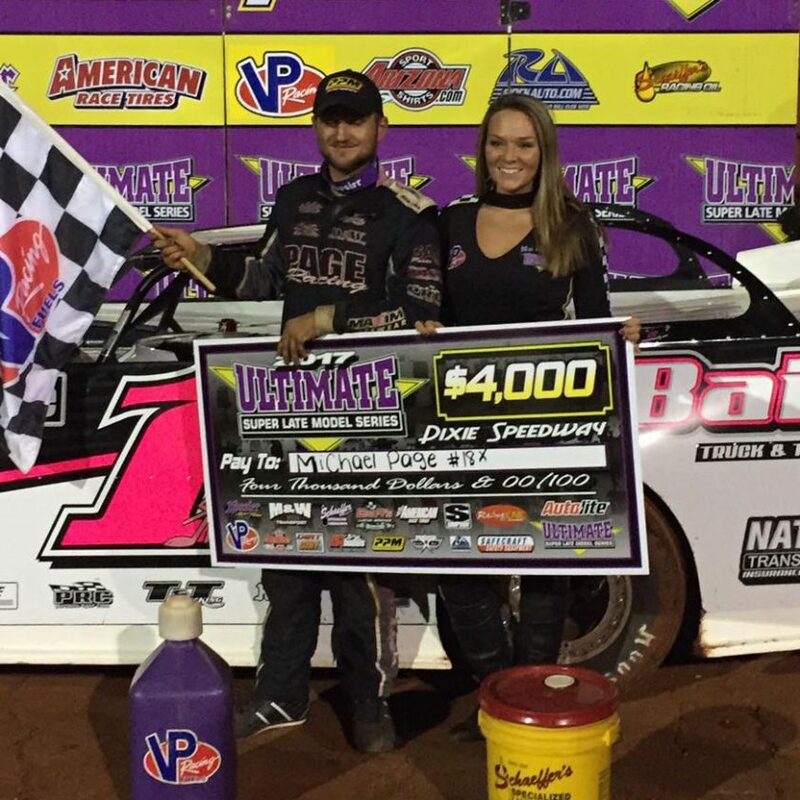 But the stars of the NeSmith Performance Street Stocks shined brightly Saturday evening at Golden Isles Speedway. None was more vivid then Brian Wooten. The B-dub Express topped a stellar field from three states to win the Super Challenge 5 Series 25-lap feature. He led every circuit on the 4/10-mile, red gumbo clay oval. Rain fell during the day three different times leaving a tacky surface throughout the program. That did not stop Wooten shooting from the pole and then opening the advantage again after a handful of restarts. The regular GIS high flyers were in the house as well as the aces from elsewhere. Richie Stephens, Kyle Livingood, Robert Hicks and Ronnie Newsome rounded out the top five. 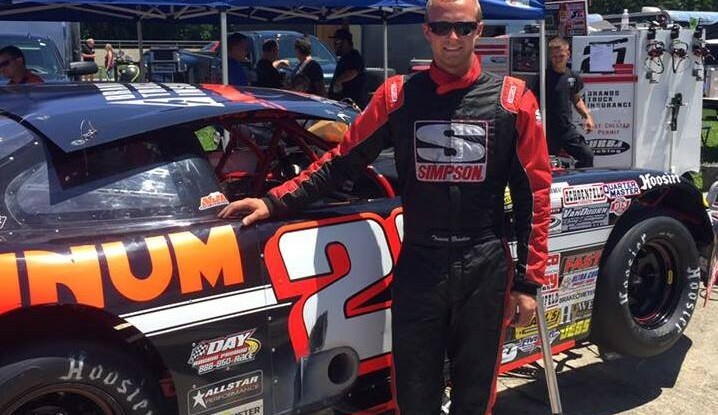 Justin McRee, Woodstock, Ala., jumped into the Dunn Motorsports High Roller Race Cars house car. The Late Model veteran won his heat, but went backwards some in the main and took seventh. Stephens, the defending NPSS national champion and Wooten’s car builder visited again from Salem, Ala. The Rocketman wheeled Carl Moore’s other car to team with Livingood. Former All Star series champ Michael Davis, Newsome, Florida ace Bubba Christian and others used the event to start tuning for the NPSS World Championship at GIS in October and the $10,000 winner’s share. Cecil Eunice took the lead on Lap 4 and won the Limited Late Model SC5 25-lap feature and the $2,000 that went with the checkered flag. Polesitter and fast qualifier Garrett Lloyd tried to shake off the gremlins of a new ride. After missing hot laps he set fast time and roared to a half straightaway lead the first three laps. Then the Tom Kelly Construction/P&G Land Clearing special pulled up lame and went pitside. That was one of only two cautions in the race. Eunice broke away after both restarts and cruised to his second SC5 victory. Point leader and defending champion Woodrow Mullis had to park his familiar No. 24 Pennzoil machine with mechanical issues. He jumped into Donnie Durrance’s car and rode to sixth. Timmy Roach topped a 25-car Enduro field with the 15-lap win. After restarts on Lap 10 and Lap 12 he had to hold off door to door challenges from Jonathan Croson and John Carlino. Wally Wallace and Johnny Barker came next. Will Gardener slid by Calvin Cox on Lap 5 and pulled away to the Super Street 15-lap victory. Cox, Paul Jones, Donnie Durrance and Luke Hayes followed. 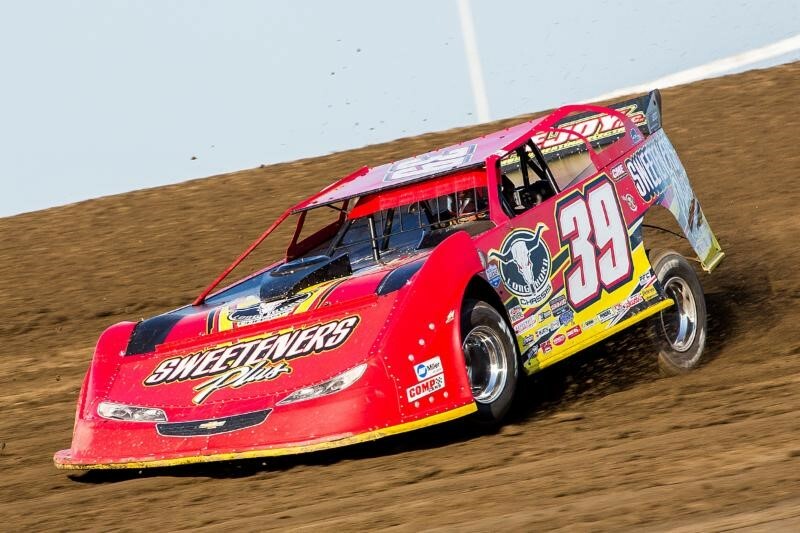 Randy Gainey tuned up for the SC5 event in two weeks by flying to the checkers in the EMod finale. He moved by Brandon Wells just three circuits from the end of the 15 lapper. Wells, Nick Kirkus, Kenny Wells and Garrett Lloyd were next in line among a race that spread three grooves all around the racing surface and was slowed by several cautions. The 440 10-lap feature went to Joe Quarterman. Josh Ryan, Courtney Parsons and Levi Cox rounded out the top finishers. The Super Challenge 5 Series Continues Saturday Sept. 10 for EMods ($1,500 to win) and Enduros ($1,000). Also in action will be GIS Late Models, Super Streets, NeSmith Performance Street Stocks and 440s. Hot laps are set for 7 p.m. with racing to follow. For more information log on to gisdirt.com, goldenislesspeedway.com, the track’s Facebook page or call 912-778-3767. Following are results from stock car racing Saturday evening August 27 at Golden Isles Speedway, Waynesville, Ga. Feature (15 laps) – 1. 21 Will Gardener 2. 34 Calvin Cox 3. 28P Paul Jones 4. 28D Donnie Durrance 5. 7 Luke Hayes 6. HOT ROD Chris Keller 7. 11S Chris Smith 8. 2 Ronald Altman 9. K5 Keith Smith 10. 88 Lee Keller 11. 74 Carl Singletary 12. 51 Wesley Walley 13. 70 Jordan Fowler 14. 15 Caleb Payne 15. 33 Leve Boatright (Did Not Start – 00 Billy Benefield). Feature (10 laps) – 1. 2Q Joe Quarterman 2. 6 Josh Ryan 3. 86 Courtney Parsons 4. 57 Levi Cox (Did Not Start – 31 Chris Mincey, B4 Brandon Brantley, 13 Olvan Williams).